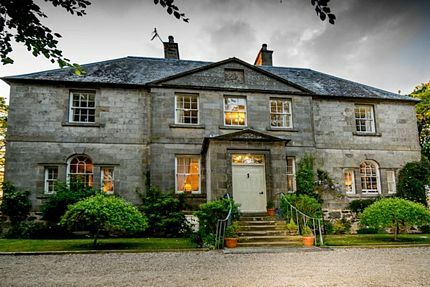 Special offer of a one night stay at the stunning 18th century Durn House in the picturesque harbour village of Portsoy in Aberdeenshire with prosecco and chocolates on arrival and breakfast in their magnificent dining room. This offer is perfect for a romantic getaway stay in this grade B listed 18th Century Georgian Mansion House which is reflected in their tasteful use of antiques throughout their large bedrooms, lounge and dining areas. There is the option to dine in the evening at Durn House after working up an appetite walking in their grounds or around Portsoy village and harbour.